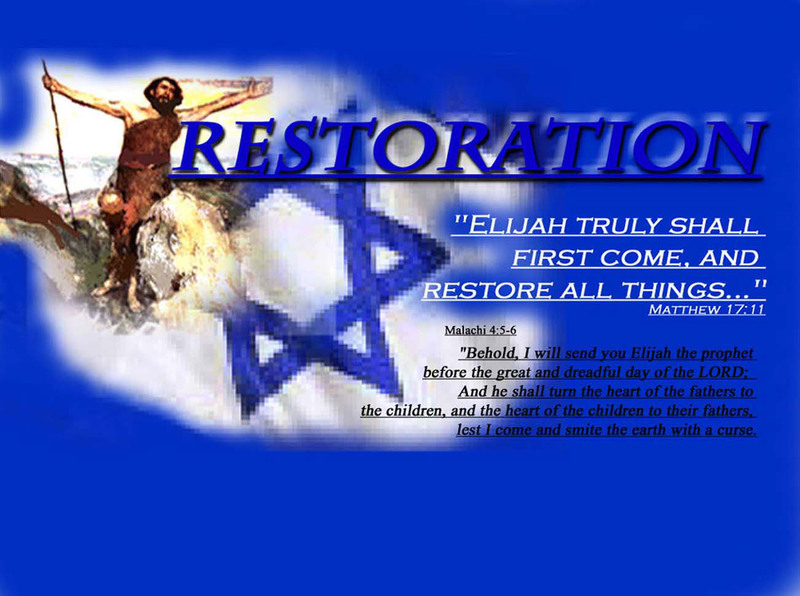 The spirit of Elijah is one of restoration. Yahshua said Elijah must come before the day of His return. He intimated that John the Baptist was himself Elijah. He truly had the spirit of restoration, preaching repentance to the multitudes in preparation for Yahshua's appearing. We who are enlightened today should be working in this same spirit of restoration in preparation for His next coming. Restoration is an end-time desire of the Almighty. He desires to "restore all things" before that great and terrible day of His return. As part of His people in our day we are working together towards this great vision, encouraging the coming together of the Whole House of Israel as in Ezekiel 37; Judah and his companions and Ephraim (Israel) and his companions. We desire to work together with all His people, in teaching the eternal truths within the Hebrew Scriptures to a people who not only believe in the return of Messiah, but who are also ready to sanctify themselves in preparation for that return. We hope that you enjoy reading these pages. Feel free to contact us if you would like to add to them, or you would like to discuss any issues you find within them.